FRIDAYS & SATURDAYS: Godtti’s Nightclub in Downey! The best New Hottest Nightclub in Downey is Godtti’s because it just open a few months ago. It gets really pack with two Dance Floors and is a really great place to meet others.People really enjoy partying at Godtti’s Nightclub because we provide good music all night long. It has a FREE Guest List for everyone at the moment since it is still a Brand new remodeled Nightclub and it has been Promoting on Power 106 Radio station & Latino 9.63 Radio Station weekly. The girls and the guys are really Hot. Everyone is FREE girls and guys before 12am except on the night we have Live Performers. 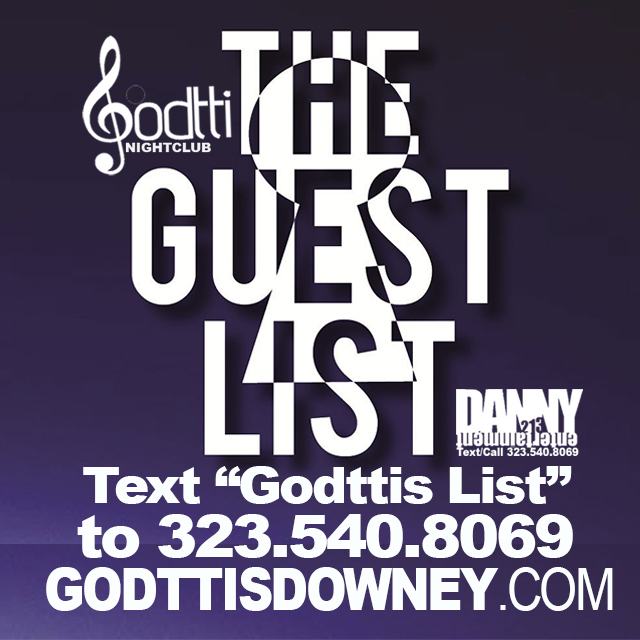 Text “Godttis List” to (323) 540.8069 Promoter DANNY213 ! Godtti’s Nightclub Dress code is Trendy and/or upscale. The club has two Dance Floors and FREE Parking for early arrival guests. We open from 9pm till 2am. 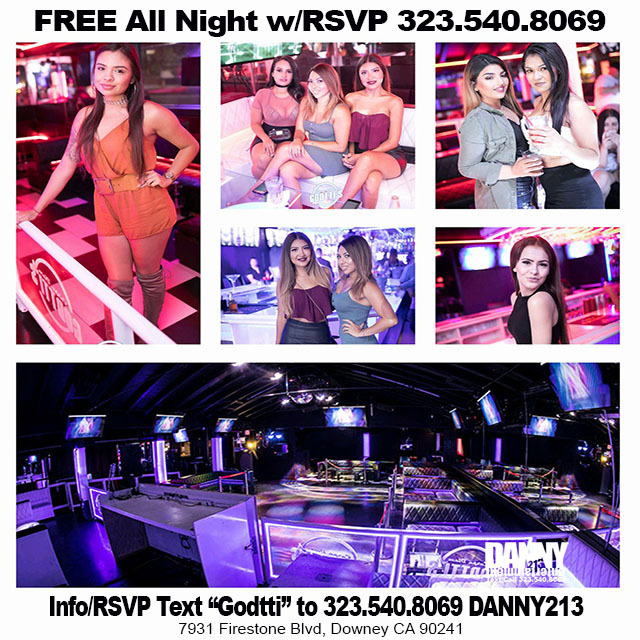 Godtti’s offers a FREE Guest List for everyone and You Must TEXT “Godttis List” to 323.540.8069 Promoter DANNY213 to be placed on our VIP List to avoid paying a cover fee.